Check out last week’s pickups here. 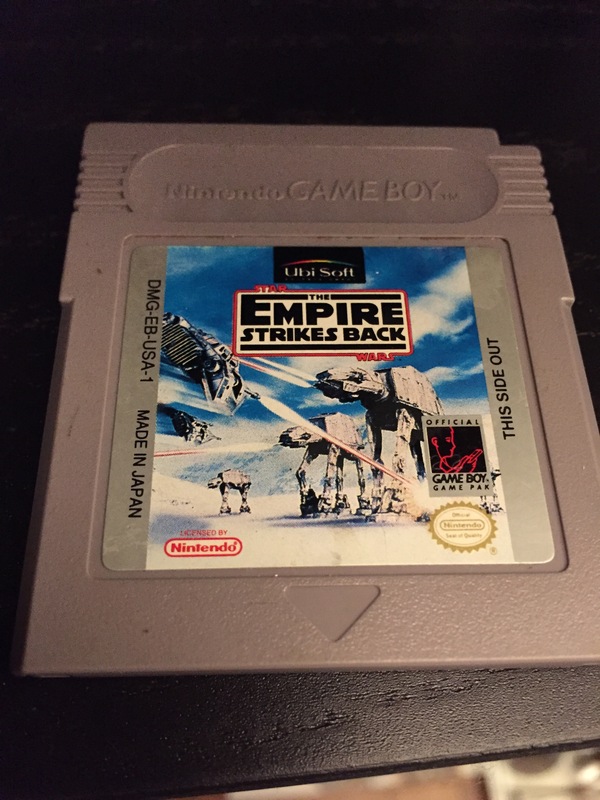 Grabbed this Game Boy ESB game (weirdly published by Ubi Soft) for our Power of the 90s: 1992 episode. I haven’t played much, but my first impression is that it’s fairly technically impressive for a Game Boy licensed game, but also has some oddly difficult platforming early on. 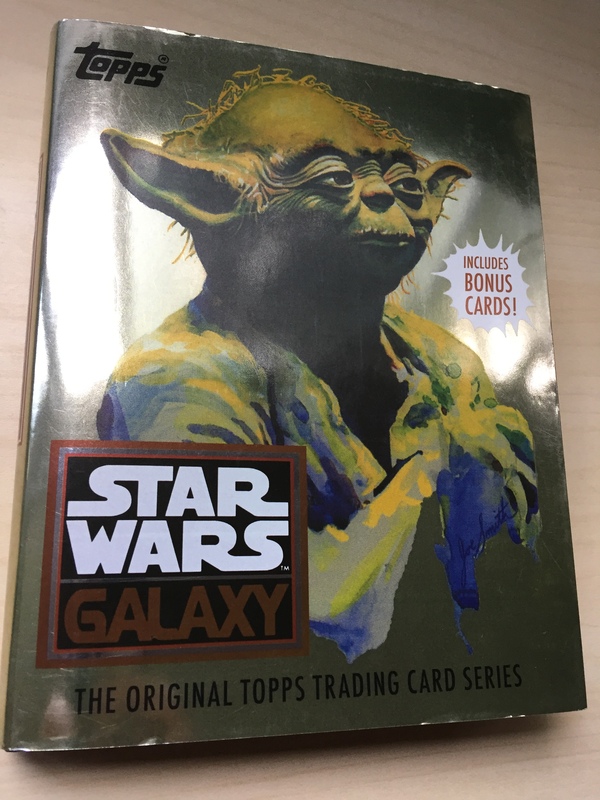 With their bold artistic visions of the Star Wars universe by a variety of artists (including some of the biggest names in comics), the Galaxy card series showcased the Star Wars universe in ways we’d never seen before in 1993. This book chronicles the first three sets of the cards, which range from gorgeous and detailed to post-modern weirdness. I love it. 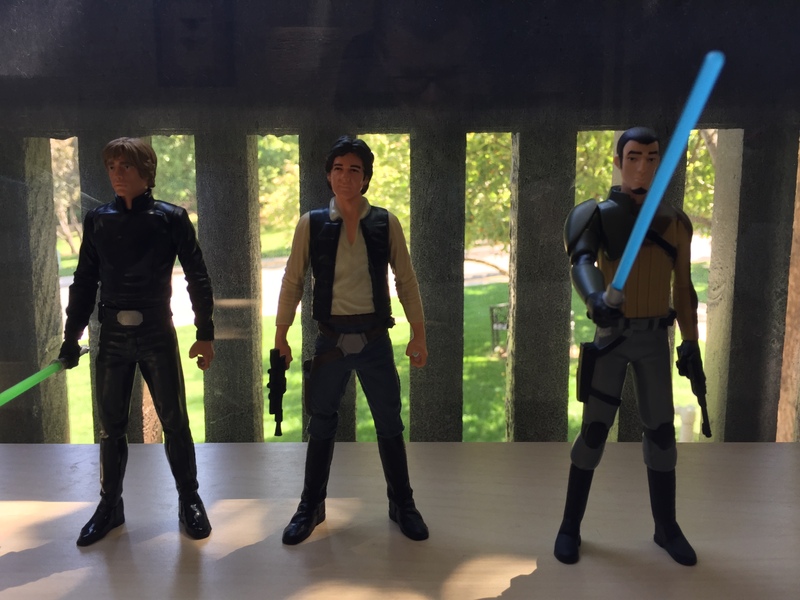 I’m really digging these 6″ 5POA figures I grabbed at Big Lots. 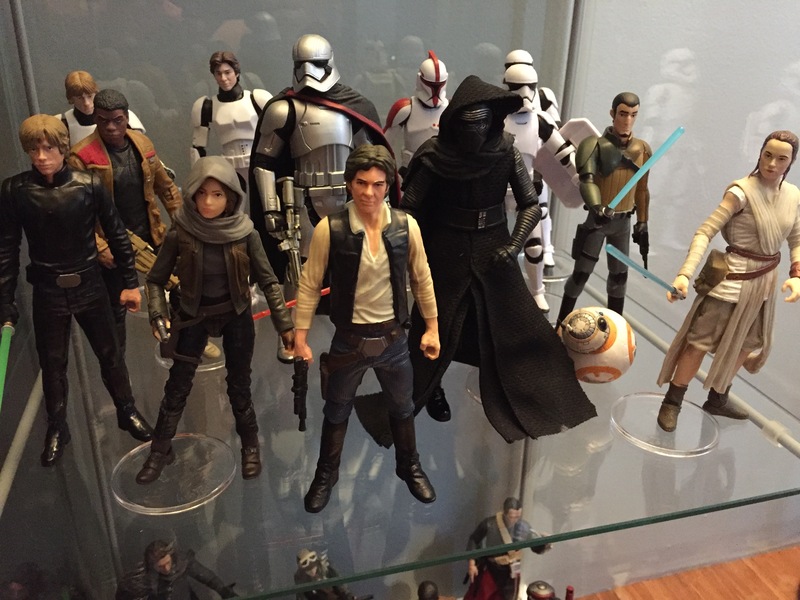 Not bad for $6; they can almost hang with 6″ Black Series figures! We have an awesome bookstore here in Denver called Kilgore Books that specializes in zines, weird literature, and sci-fi. 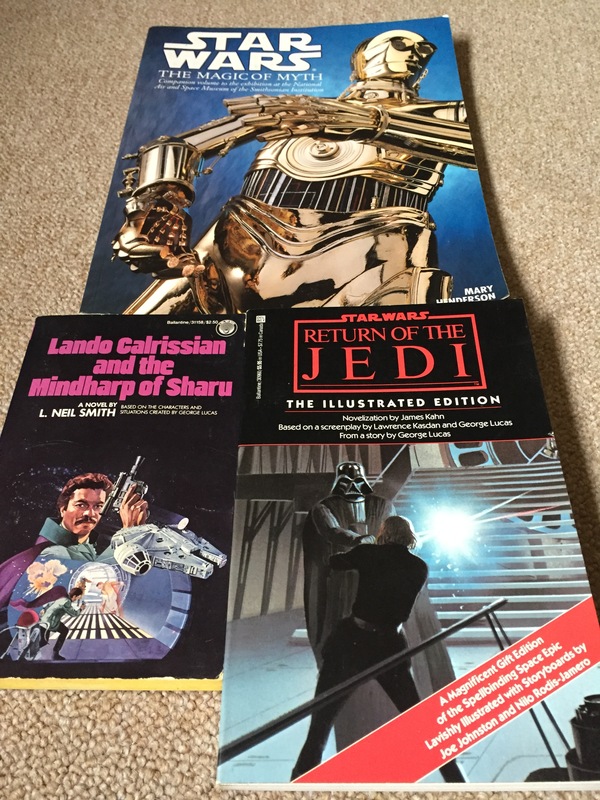 Not only is their focus totally in my wheelhouse, but their prices are great too- I was able to grab these three books for about $16 total. Really stoked to find out what the heck a mindharp is! I grabbed my first long-sought-after Hassk Triplet (or “thug” as the Hasbro packaging refers to him) a few weeks ago when Target initially started their Force Awakens toys clearance sales, but everyone knows that Takodana werewolves travel in threes, so I jumped at the opportunity to grab my second figure when I saw him swinging from the pegs the other day. Two dollars and thirty cents! 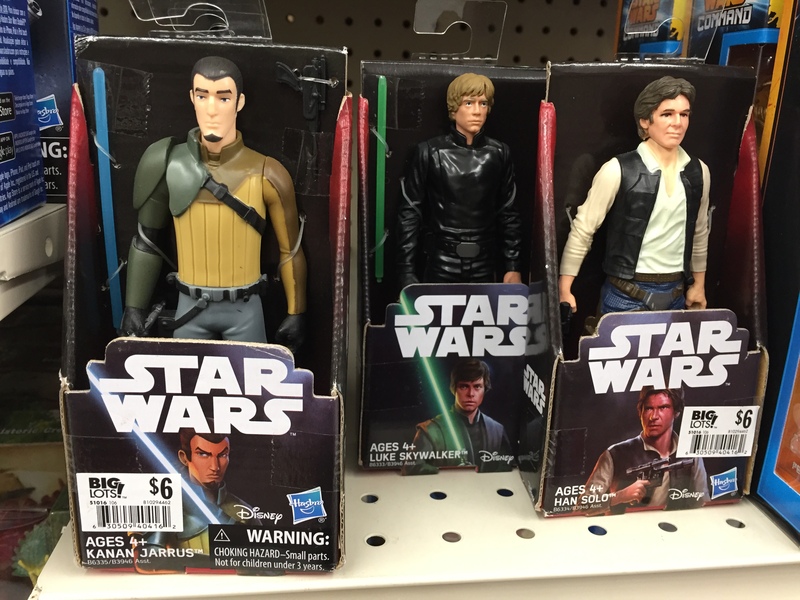 I’m assuming these first released with The Force Awakens, but I’ve never noticed them in stores until now. The bags and packaging are super fun and this is the kind of stuff that is super fun to pull out of a storage box twenty years later. Plus, I figure these will double as handy weapons/accessories bags for my Last Jedi figures! A thoughtful coworker grabbed this for me from the Duty Free shop on the Canadian/U.S. border recently. I guess it was in a clearance bin, but her intuition served her well when she thought, “if it features Star Wars art, he’ll love it.” I do! Categories: Blockade Runner Pickups, Products | Tags: Big Lots, Hassk Thugs, Hassk Triplets, Star Wars Books, Star Wars Games, Star Wars Products, Star Wars Toys | Permalink.